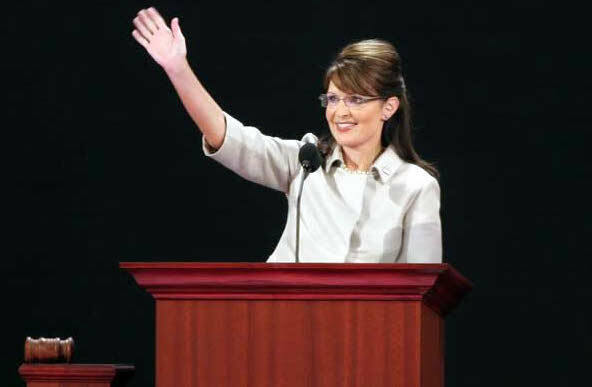 My opinion piece in the San Francisco Chronicle (http://www.sfchronicle.com/opinion/openforum/article/Sarah-Palin-should-hand-out-the-Nobel-medals-12256755.php). OK, it’s tongue-in-cheek, but there is a serious point here for communicating about science. Too often those of us who are seriously involved find ourselves preaching to the converted, and there has been much hand-wringing in recent times about how to reach the rest of the population (i.e. the vast majority). OK, maybe Sarah Palin is not the ideal target, but I believe that there are plenty of people out there who might well come onside if only they felt involved with, rather than excluded from the scientific process. Maybe, just maybe, it might be possible to find ways to open the door to them, rather than keeping it firmly shut while we shout our arguments through it.